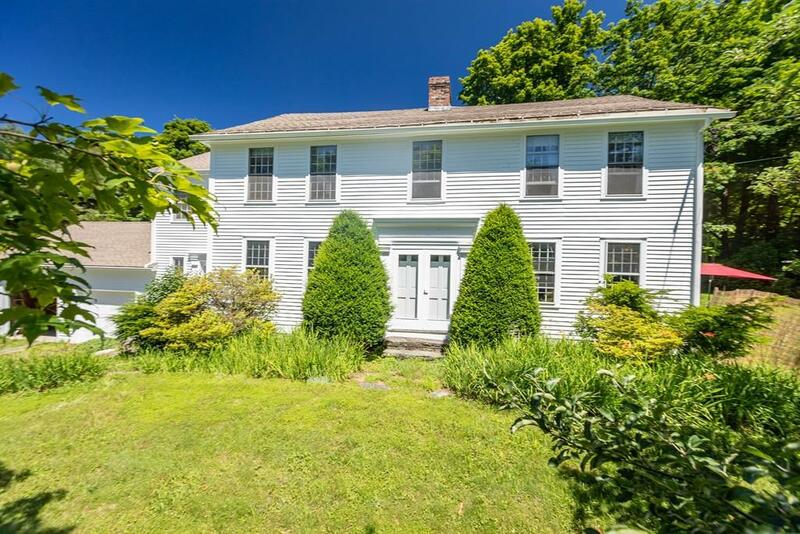 Elegant and meticulously maintained 1831 Colonial home to only three families in its long history. 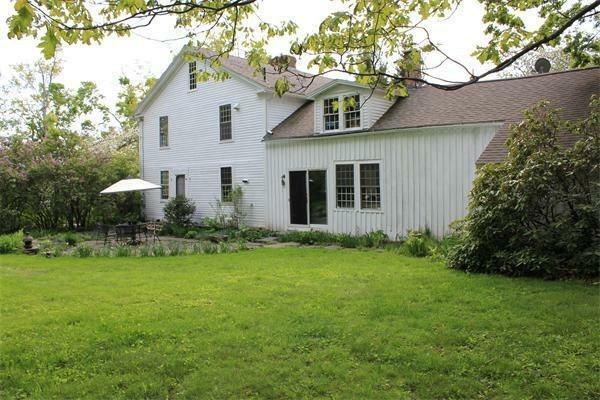 This 13 room, 4 bedroom (2 with fireplaces), with 2.5 baths hosts many original details yet is updated for modern life. Formal large living and dining rooms. The family room off kitchen w/grey slate floor has sliders on either side opening to 2 Goshen stone patios surrounded by perennial beds & fruit trees. The newer addition to the house includes a formal entryway, 1/2 bath, walk-in closet, 1st flr laundry room, modern 2 car garage (26x26) & Master Suite w/windows & sunlight + bath w/large deep jetted tub & separate shower. 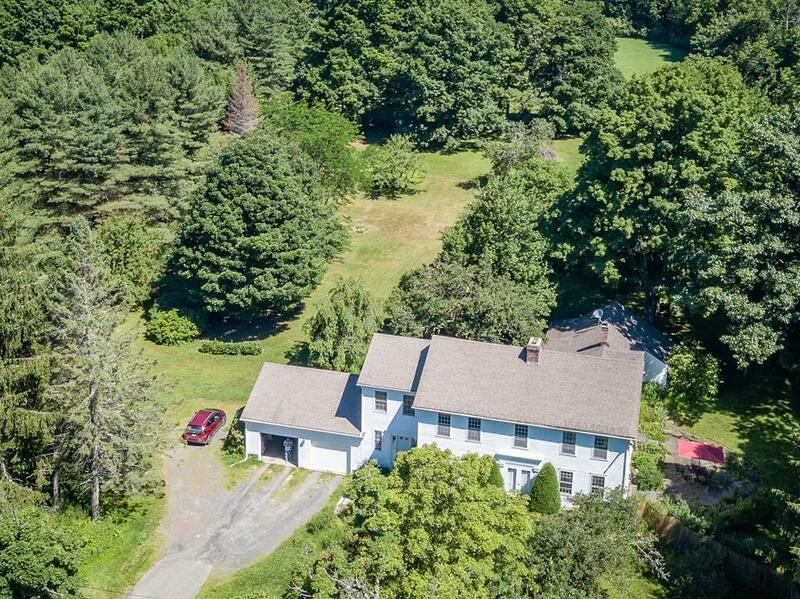 The 7 acres features a landscaped yard with perennial beds and fruit trees, peace, and privacy. High-speed DSL internet for home office. Entire exterior freshly painted, new gutters with leaf guards and a new wood stove. 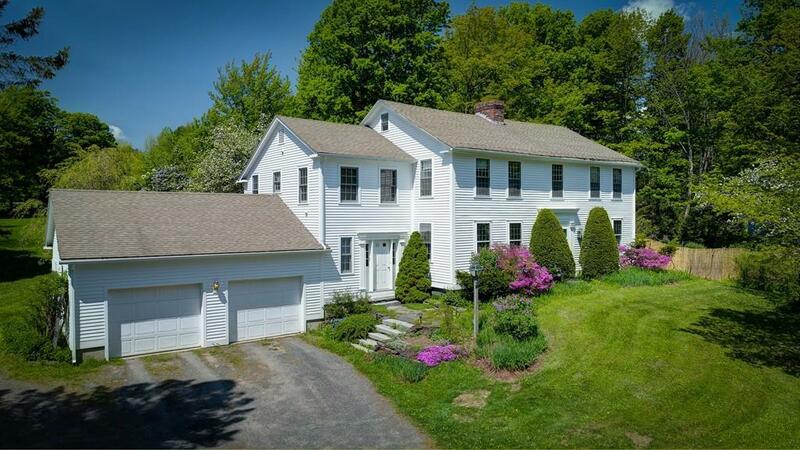 30 minutes to Northampton and North Adams, 45 minutes to Amherst or Tanglewood. Additional 9 acres available.